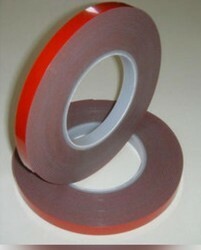 We offering complete range of high quality VHB tapes used in curtainwall , acp cladding and automobile industry. 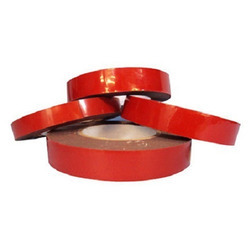 3M 4611 VHB Tape is a double-sided tape typically used on metal substrates, and has the added feature of high-temperature resistance, making it suitable for bonding prior to high-temperature paint processing.3M 4611 is coated with a general purpose adhesive on both sides of the firm foam. 3M™ VHB™ Tapes are high-strength bonding tapes and a proven alternative to screws, rivets, welds and other mechanical fasteners. Very Very High Bonding just like metal welding.